With the stock market unstable right now, many people are thinking of investing in gold and silver. Of course, there are many ways to invest in precious metals, but one of the most time-honored investments comes in the form of pure metal investment, or bullion investment. 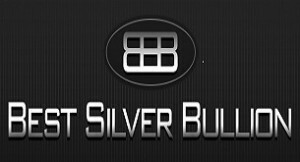 There’s a lot to bullions, so let’s take a look at one particular metal in the form of silver bullion. Before we go too far into the actual investment in silver bullion, we must define what bullion is. Basically, silver bullion is some form of the pure precious metal kept as an investment. The forms vary from bricks of silver to silver coins, and the entire lot of the purchased bullion can be kept in a safe, safety deposit box, or even buried in one’s backyard (not suggested!). Precious metals have historically kept their value or risen in value since their introduction, but the perks to silver ownership do not end there. Governments around the world produce their own silver bullion coins, which enables them to guarantee the coins’ weight and purity. Some governments, like the United States, will even recognize the coins as part of investment strategies. For example, the United States’ government will allow American Eagle Silver Bullion Coins within IRA investment packages. Investing in silver bullion can occur one of two ways. You could invest in the actual, physical bar of silver, or you could invest in an Exchange-Traded Fund (ETF). With the physical bullion, you purchase a coin or bar from the US Mint or from trusted dealers, like coin shops. However, if you purchase an ETF, you buy shares of the holding company’s silver. That statement may not make much sense, so let’s look at it a little further. In an ETF, a holding company purchases the physical bars of silver and keeps them in a safe place. Then the company offers shares of the total silver allotment to investors like you. When you purchase a share, you receive a certificate for the purchase rather than the physical bar of silver. 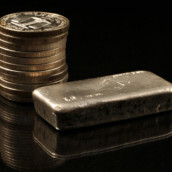 Silver bullion investment can seem tricky when you first begin. However, a few tools can help you make the best coin investment choices around. First, before you invest, you should know the current rate for pure silver. Second, you should research the amount of pure silver in the coin you wish to purchase. Doing these two things can help you invest in silver at optimal values. Overall, silver bullion can be a great investment strategy. Buying and holding precious metals has historically returned better values over time. Hopefully this trend continues as more and more people invest in precious metals in the coming years.